When will be Teens Who Kill next episode air date? Is Teens Who Kill renewed or cancelled? Where to countdown Teens Who Kill air dates? Is Teens Who Kill worth watching? It seems impossible. Young people, with the briefest experience of life, prepared to kill and in some cases, kill their own parents. But it has happened in many countries and in many ways. Are these teens inherently evil, or are they victims of a system that failed them? Featuring key witness testimony, new interviews, archive footage and reconstructions, this series explores such questions through eleven extraordinary cases. Steven Miles was 17 years old when he brutally murdered and dismembered his girlfriend Elizabeth Thomas in his home in Oxted, Surrey. Brothers Connor and Brandon Doran and their friend Simon Evans murdered homeless man Kevin Bennett in Liverpool for a dare. Rachel Shoaf and Sheila Eddy confessed to stabbing their best friend Skylar Neese to death months after she was reported missing. High school student Vincent Parker killed his parents because he was weary of their seemingly routine punishments. 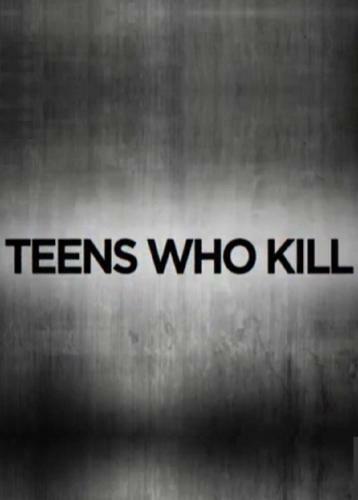 Teens Who Kill next episode air date provides TVMaze for you. EpisoDate.com is your TV show guide to Countdown Teens Who Kill Episode Air Dates and to stay in touch with Teens Who Kill next episode Air Date and your others favorite TV Shows. Add the shows you like to a "Watchlist" and let the site take it from there.